Here are sources for applique information, shapes, and templates. This index page will grow as more templates are designed. If you love hand sewing, you'll love this method of appliqueing. 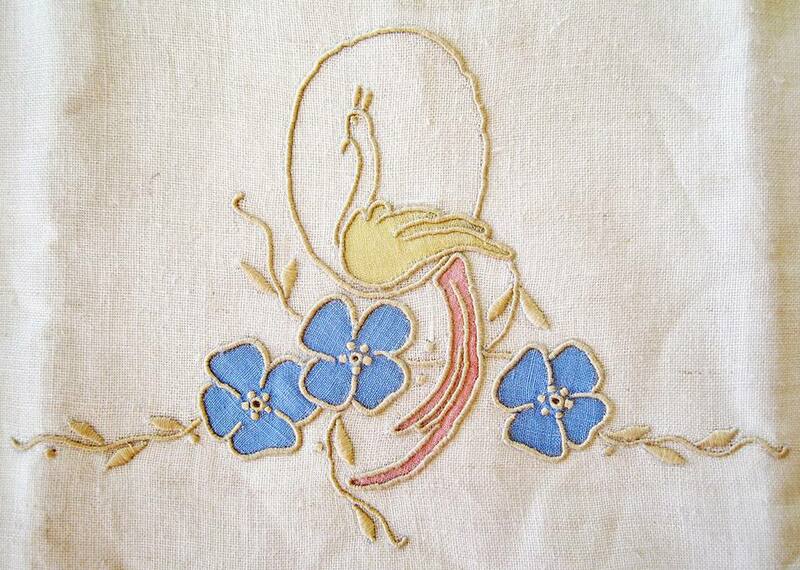 The clean smooth edges make a stunning appearance, as in these very old hand appliqued napkins shown in this article. This method employs fusible web and then machine sewn edges. It's a great method for a strong durable applique that is going to be worn by children and see its way through the laundry many times. Applique Letters for Christmas Stockings, banners and more. These will print as 2 1/2" letters but can be resized at a copy machine or with a graphics program. Try your hand at all kinds of free applique shapes and make them into a great cloth book for a child that would eat a paper book. Cupid and hearts abound for Valentine's Day. Take advantage of the free projects or grab the free applique patterns and create what you have in mind. There is no limit to your creativity. This list of Angels to sew is bound to get your creative juices flowing. Imagine you Christmas decorating or other occasions. Use this free applique pattern for any celebration that you have in mind. Bubble Letters can be used for almost any appliqueing purpose. This free pattern can easily be resized on a copy machine or in a graphics program. Decorate a Christmas stocking or other Christmas decoration with this Christmas tree and gifts template. Apple picking is a big thing in my area of the world. 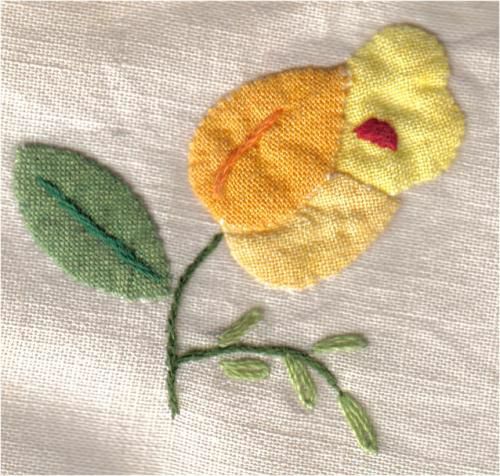 This applique is great for potholders, pie potholders and clothing. Purchased appliques are a quick way to embellish clothing, adding other textiles, like fabric paint, make the possibilities endless. All kids love balloons and this applique idea is a great way to decorate a child's shirt without breaking the bank. Appliques can take very inexpensive clothing and convert it into something very special with these ideas. Save those test embroidery samples and make them into wearable clothing! You don't have to wear a costume to be part of the Halloween fun. This applique can decorate any shirt of jacket so that you are part of the festivities. Add this applique to a trick or treat bag so the bag is preserved for Halloween from year to year. Everyone loves the fall leaves. You can't wear the real ones but you can create these fabric leaves to celebrate the beautiful fall leaves. The acorn appliques add to the realistic feel of these appliques. What Technique to Gather Fabric Should You Use?